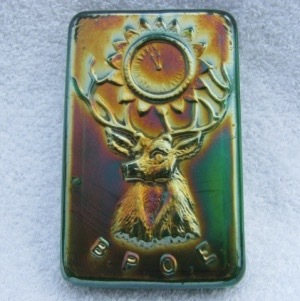 Pattern Description: A paperweight with a portrait of an elk with a clock above and "BPOE" below. Elk faces to the viewers left and both eyes are seen. 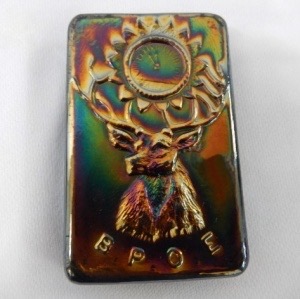 This commemorative is assumed to have been made as a commissioned piece for the B.P.O.E. 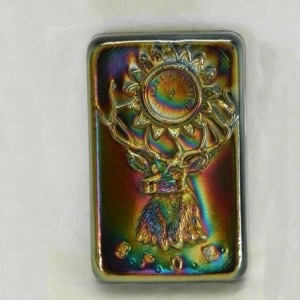 (Benevolent & Protective Order of Elks), differing from the other similar patterns in that there is no year listed. 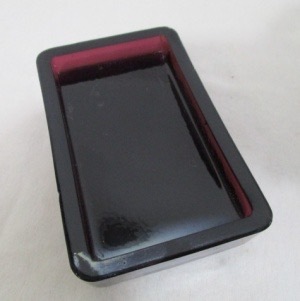 This pattern is reported only in a paperweight.